I have been thinking of starting this blog about Food Urbanism for some time. Apart from my usual procrastination, I couldn't figure out how to begin - the blank page has always intimidated me. 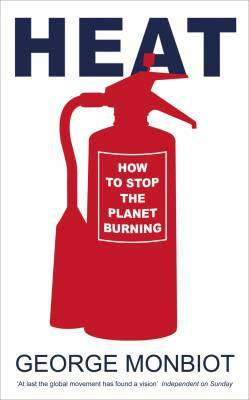 Sitting in the departure lounge of Terminal 4 of Heathrow Airport in London, I realised that I must begin with global warming, or more accurately with a few comments about George Monbiot’s excellent new book Heat: How to Stop the Planet Burning. There are few places on earth where the decadence of consumerism and the glamour of international air travel embrace each other so completely. 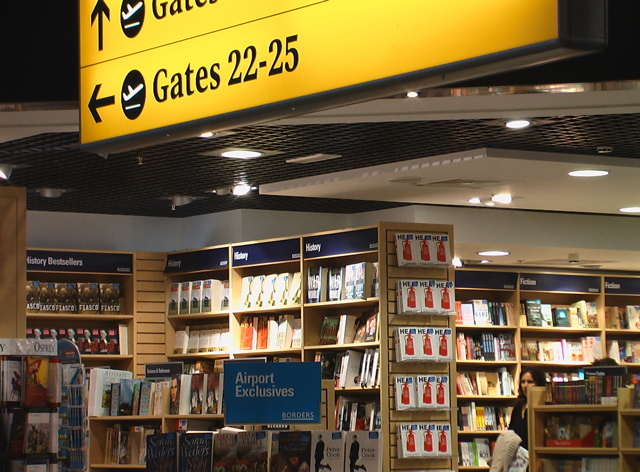 I could not be described as a shopper, I avoid the retail experience as much as possible, but I am fascinated by this place where you can buy so many of the good things of life while waiting to jet off to exotic locations. While I have generally failed as a consumer, I have been a frequent flier for significant periods of my life, traveling through Europe, Africa and Asia as a kid, and numerous trips over the past 15 years between my family home near Toronto, Canada and my adoptive home in Dublin, Ireland. A few years ago I stopped keeping track at well over 100 flights, many of them long-haul. This is enough to put me into the elite realm of serious environmental destructors. I am responsible for producing more greenhouse gases than all but the tiniest minority of the 6+ billion people with whom I share this stressed planet and its paper thin atmosphere. When Monbiot's new book came out last month, I knew that I would read it sooner or later, but it was after a friend recommended it so enthusiastically that I picked it up to read on my flight to Vancouver. The purpose of my trip was to attend the Bridging Borders Toward Food Security Conference and to do some research into Vancouver examples of Urban Agriculture (more on that later). Thus I found myself waiting in Terminal 4, slightly shocked to find numerous copies of Heat prominently displayed as the latest non-fiction offering to the jet setting masses. Reading Monbiot's description of the threats posed by global warming while cruising at 12000 metres is tough. When he makes the case that there are no options for reducing the damage caused by air travel except by massively restricting the number and length of flights, I felt so guilty that I was desperate to get off the plane. Imagine an habitual dieter gorging on a huge tub of decadent ice cream while being subjected to a continual stream of images of obese, unhealthy people. I think that this would be similar to my feelings of guilt, with a crucial difference. It is likely that I will suffer far less because of my carbon binge than many other people living in distant lands about whom I usually hear only tragic news - if I hear anything at all. This book is heavy stuff. Monbiot does not pull any punches as he presents the devastating realities that we face. But it is far more important as an investigation into solutions. I agree with Monbiot about the likely severity of global warming and about the depth and urgency of the cuts we need to make to our CO2 emissions, but more importantly I share his belief that we can prevent the worst effects of global warming. He set himself the task of trying to figure out how we, those of us in rich/developed/industrialised nations, can reduce carbon dioxide emissions by 90% within 25 years. He expected to fail in this task, but after completing the book he feels that it is feasible. By feasible he means "compatible with industrial civilisation." Although I could argue the appropriateness or desirability of maintaining the dominant model of what constitutes 'the good life', I will let it pass for now, except to say that I believe that his most significant fault is a failure to conceive that another world is indeed possible. I believe that this ecological catastrophe of global warming can be prevented without reverting to a situation where ecological constraints forces everyone to fight over dwindling resources. I believe that we can do this and still have our freedoms, our comforts and our prosperity - but we will have to readjust our interpretation of what constitutes freedom, comfort and prosperity. This is where food comes in. Our food supply systems are heavily dependent on fossil fuels at all stages in the process of getting food from the farm (or more accurately the factory) to our tables. Taken as a whole, our food supply system is one of the greatest generators of greenhouse gases, but those involved in trying to prevent global warming seem largely unaware of this fact - Monbiot included. All it takes is a quick scan through the index of his book to note the absence of anything food related, let alone any details of how systemic changes in the way that our food is produced can significantly reduce the warming of our planet. He discusses possible energy, transport and housing strategies at length, but hardly mentions how we might change the way that we feed ourselves. I have found this to be typical of much of the climate change debate, and it strikes me as both a significant lack of awareness of the issues and a missed opportunity. There are many reasons why we would want to change the way our food is grown, processed, transported, sold, consumed and discarded, but the threat of global warming provides the ecological imperative to radically transform our food systems. I believe that one of the most effective way of reducing our greenhouse gas emissions is to change how food is produced, to change what we eat and when, to change our relationships with those who grow, process and sell it, and, most importantly, to change the location of our food production. In fact, I am convinced that we will not be able to prevent the ecological catastrophe which Monbiot so clearly describes, without reintegrating human habitation, economy, politics, society and culture with food production. This is the basis, and primary motivation, for this blog. Posted by Bruce Darrell at 11:55 a.m.
i am impressed. out of interest, how much food do you produce?im assuming that the limited size of an urban plot due to population size diminishes the potential output. what are your main crops? Sunday, January 14, 2007 1:12:00 p.m. Thanks for your comments. We are fortunate to have one of the 483 allotment plots currently available in Dublin. These individual plots are huge, and given enough attention, we could easily produce all of our vegetables (including most of our potatoes) for the entire year, plus a significant amount of fruit, with a lot of surplus to give away to friends, neighbors and family. The last few years have been hectic and I have not put in the effort that I wanted to, so the amount produced have been lower, but this year I have big plans! I believe that yield is more related to effort and available nutrients, rather than size of the garden, and I feel that we could have produced more food last year by concentrating on 25% of our plot. This is a major issue that I go into much more in later posts. Monday, January 15, 2007 9:59:00 a.m.